Lassané is the star in the campaign movie of the Belgian NGO Broederlijk Delen. Being the reporters on the field, we visit him from time to time in his village Boulzoma, bringing him messages and questions from boys and girls in Belgium. 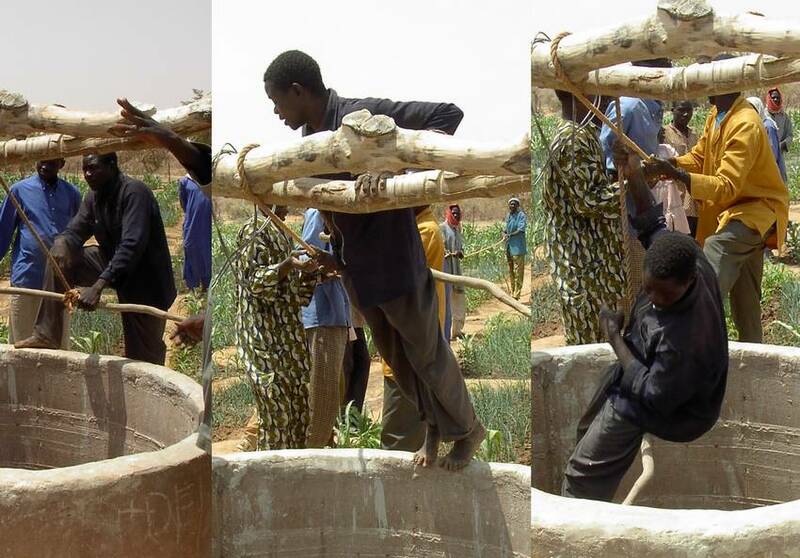 Troubles in the vegetable garden of the village of Gasedonka. Something is wrong with our well, the farmers tell. And that's not so good since the vegetables are crying for water. Time for the well digger to take a look. On the pictures you can see how he descends on a rope, held by the farmers. It turns out that the bottom four meters of the well have collapsed. The repair activities will have to advance quickly, in order to save the harvest. Even without strong new elastics it works. 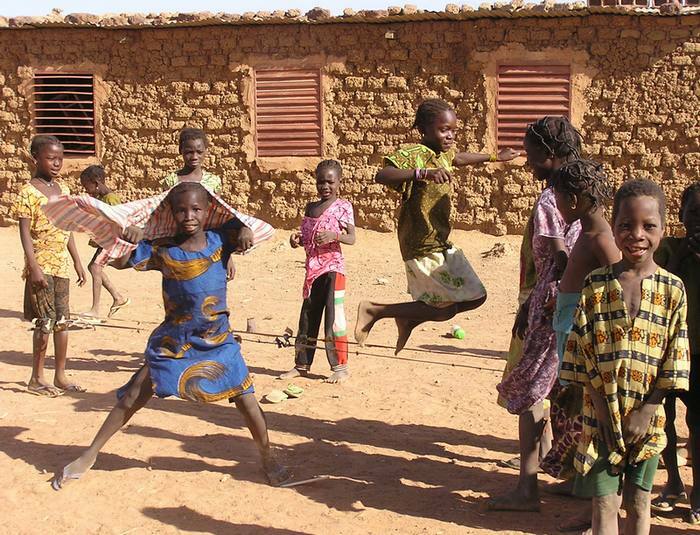 Strings of fabric tied together serve to jump-rope during playtime. Women who are able to read and to write are on more solid ground. They put up a small business, and aren't fooled easily by cunning salesmen. They are more informed in run their household in a more efficient way. 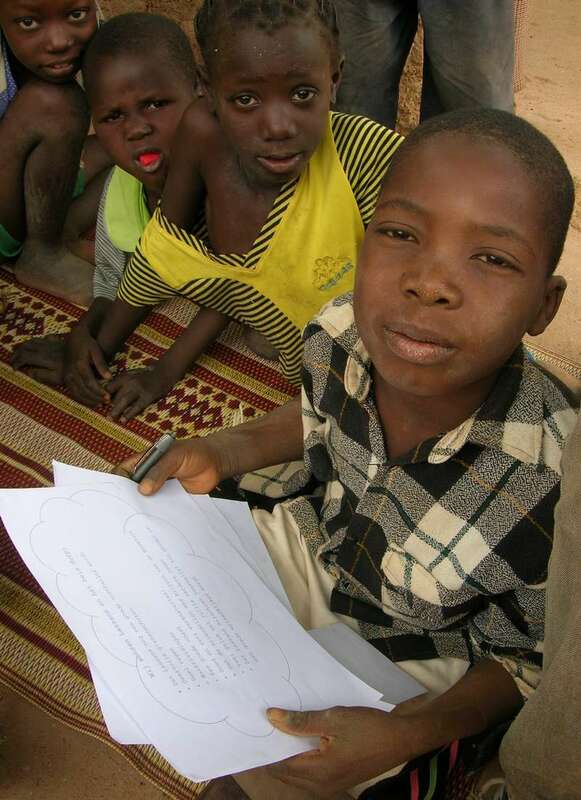 The literacy rate for women in Burkina Faso is sadly low: 14 percent.